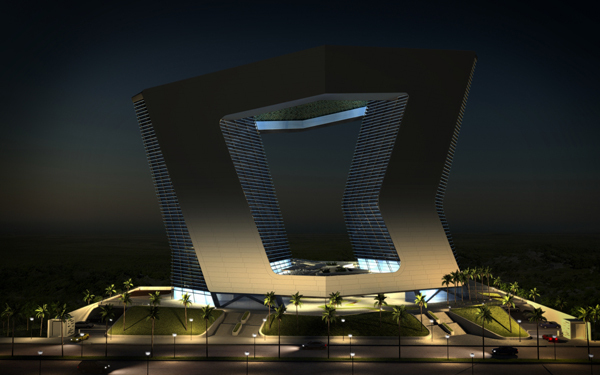 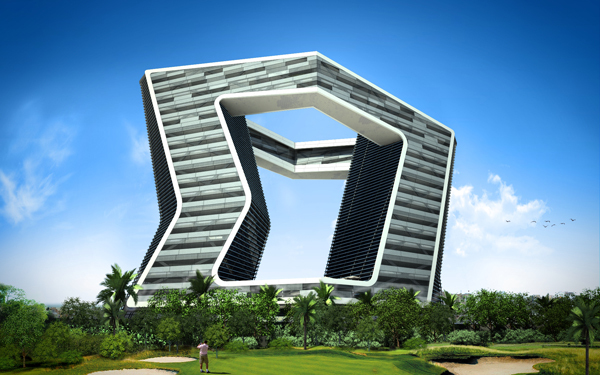 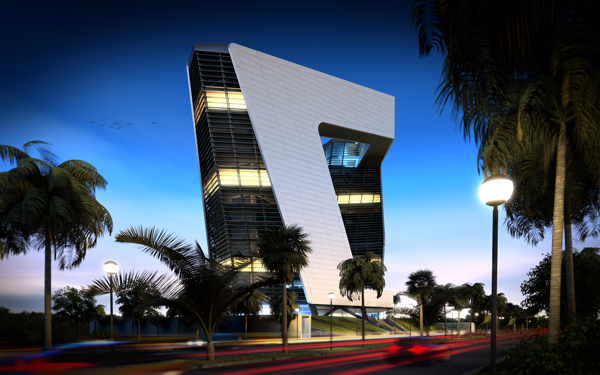 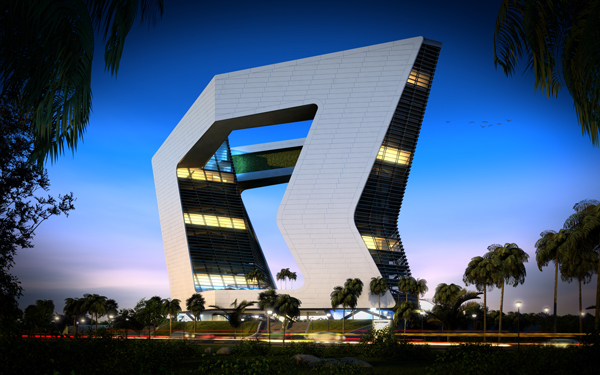 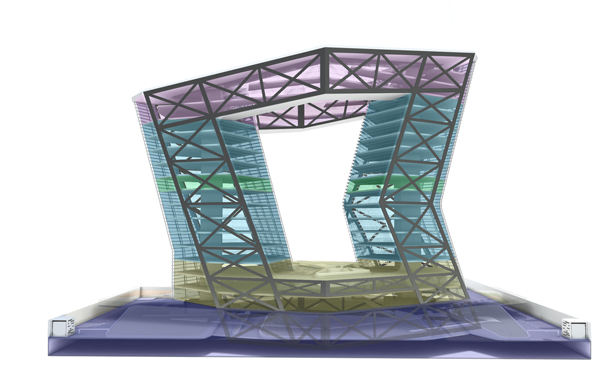 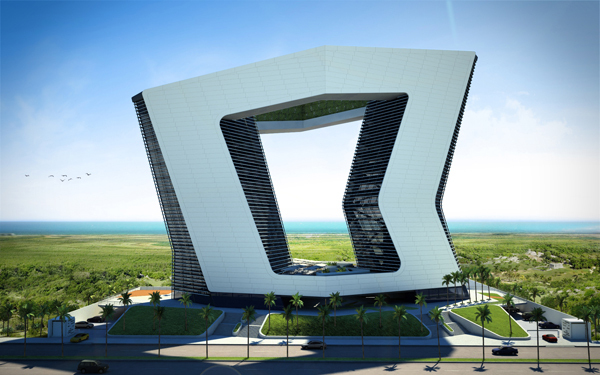 The GSI Tower designed by Sanzpont Arquitectura, and will be located in Cancun, Mexico. 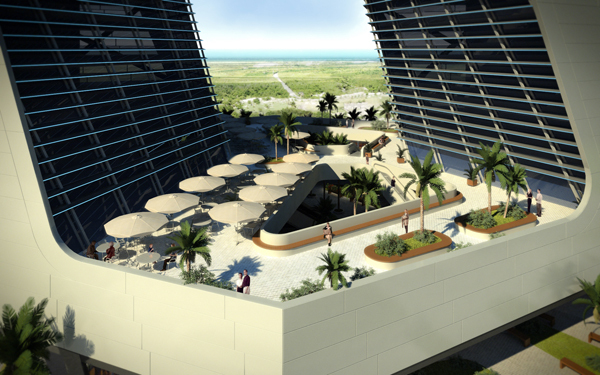 This 20-storey building will house a shopping mall, hotel and offices, and consists of 2 vertical bodies that meet at the top by 2 habitable bridges with an interior garden to form a large frame of the natural landscape. 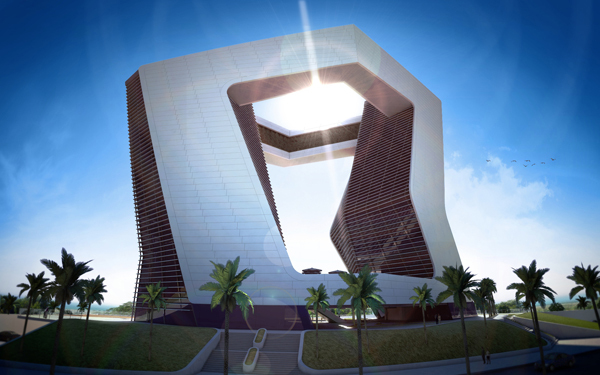 The Building is protected from the sun on the western face with a ventilated façade made of alucobond in the form of fish scales, indirect natural light is filtered inside between the horizontal louvers of its perimeter. 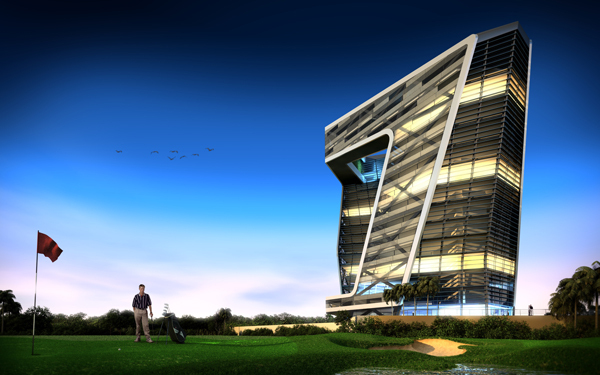 In the eastern façade, the building skin is designed with a set of serigraph, sandblasted and transparent glass that take advantage of the natural views of the Golf Course and the Caribbean Sea. 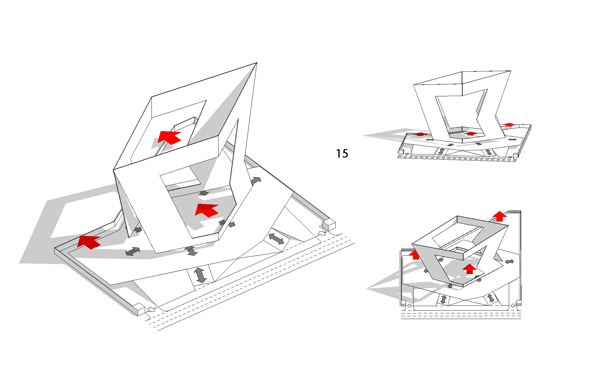 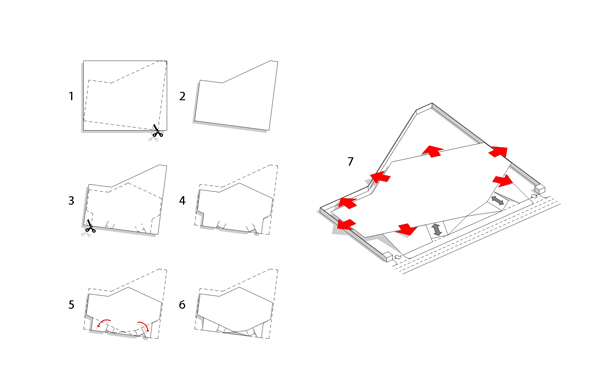 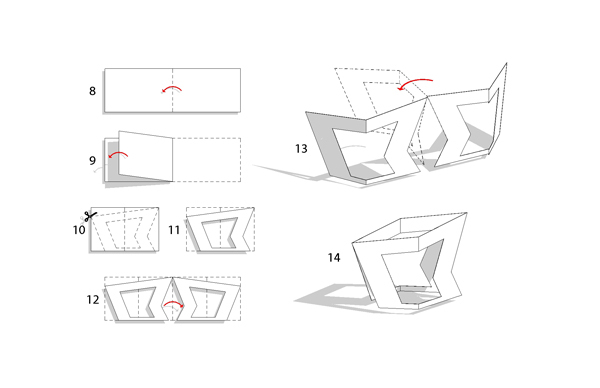 It gives the city an elevated public square that generates an urban green balcony. 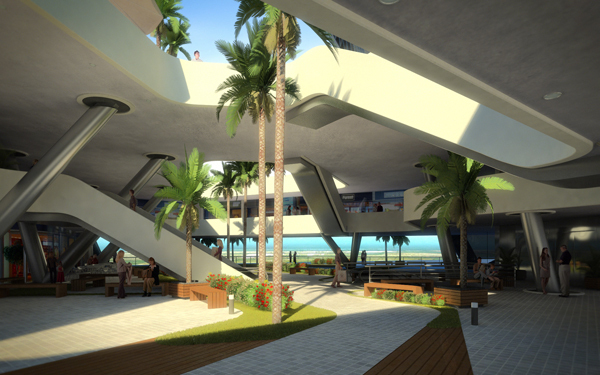 As an added value, the building allows the public to continue to rise even more, because it has a restaurant lounge at the top level. 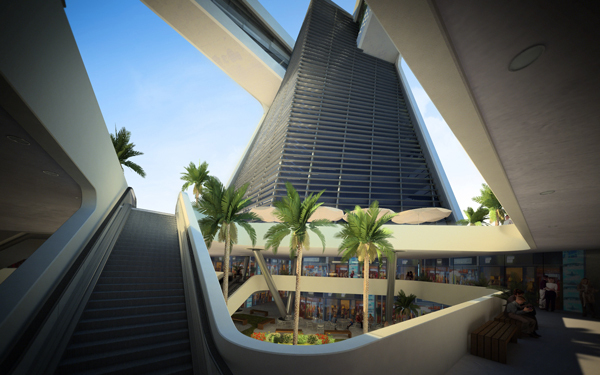 With all this, the vertical infrastructure integrates with the city life and urban environment.